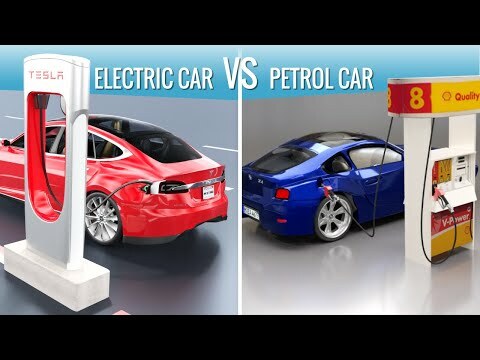 Electric cars or internal combustion engine cars—which is better Electric cars were in their heyday back in 1900, but a sudden rise in petrol engine cars, accompanied by battery technology inefficiencies killed electric cars by 1920. However, with recent improvements in battery technology and power electronics, electric cars have made a strong comeback. We will compare these totally different technologies scientifically, and come to understand which is superior. Here we are using Tesla model S as electric car to compare with its petrol engine car counter part. Please don't miss this excellent video from Kyle Drives !